So as anyone who read my previous post will know, I'm recovering from a nasty case of Pneumonia and so reviews of beauty products have been pretty sparse around here as I've been too ill to be trying products (yes woe is me, get out your violins) but one thing I have been doing is washing and caring for my hair (thank goodness right?) 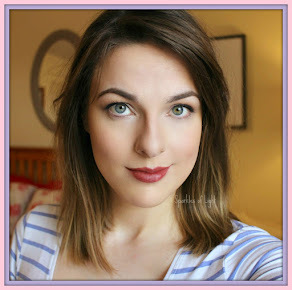 so I thought I'd share with you the products I have been using lately. When I heard about Natural World and their Argan Oil of Morocco range, I was eager to give it a go as having pretty long hair can mean my locks sometimes appear a bit lackluster and in need of a good treatment so the fact that Natural World have made this affordable range (£11.17 for all three) and also offer 95% natural ingredients, I was sold. That was a month ago and as I've said, I have been pretty ill during this whole trial but one thing that hasn't suffered is my hair, I've noticed my hair has been less prone to tangles than usual and I have been told several times this month that my hair is looking good so I'm taking that as a big thumbs up! Scent wise there isn't much smell, that'll possibly be down to the natural ingredients so if you hate perfumed hair products then this will be a one for you, personally I do quite like a bit of scent in a product but I'm not turned off by no smell by any means. Overall this has been a great product trial and one I'm glad I was able to partake in due to my recent ill health. 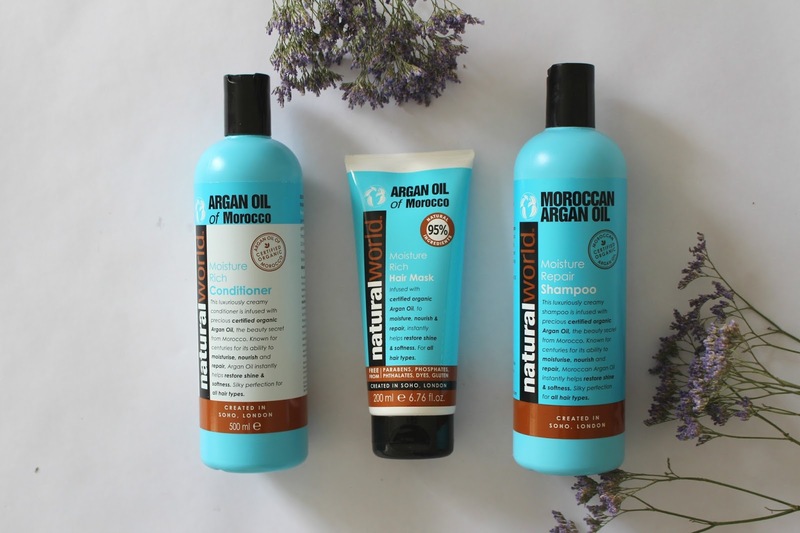 Natural World is available from beautyandthebunch.com along with several other tempting items (Brazilian Keratin or Chia Seed shampoo anyone?) so I urge you to check it out. So the story begins around a month ago, the day started simply enough, I got up, got dressed and took the dogs for a walk but halfway around my the walk I started to feel 'uneasy' almost like I was coming down with something but couldn't put my finger on what it might be, by the end of the walk I was having chest pains and by that evening I was ill, I had a headache, I was throwing up (TMI I know), I had chills and sweats, aching muscles and a very tight chest, I was pretty convinced I had flu as I was floored. Days went by and the symptoms were getting worse - by now I was starting to struggle to breathe and so I decided it was time to visit a doctor, the GP was very sympathetic and told me I had flu and the symptoms would go in a day or two and to go home for bed rest. Days came days went and my breathing was getting worse, I could no longer get up and down the stairs and I felt like death, back to the doctors I went. This time I was met with a different response, without examination the doctor watched me shivering away in a pool of shame and sweaty clothes as I tried to describe how I was certain I had less than four hours to live. He insisted I had nothing physically wrong with me, this was a prolonged panic episode and that I had anxiety, he then told me I needed yoga and country walks and sent me home. The next couple of weeks are a bit of a blur, I went back and forth to the doctors trying to tell them I knew this wasn't anxiety and that I had indeed had panic attacks in the past, I've felt the tightness in my chest from anxiety and know all to well the feeling of finding it hard to get a good lungful of air whilst in the middle of anxiety but these extreme symptoms had never lasted weeks at a time, had never made me so ill I couldn't get out of bed and never made it so I could no longer lie down in bed, walk up stairs or even get into a bath myself anymore. To spare you all the violins, I ended up back at the GP whilst she barked at me that I was 'just' anxious, I needed to calm my breathing and when I said I wasn't worried about anything she began to list things that I should be worried about... 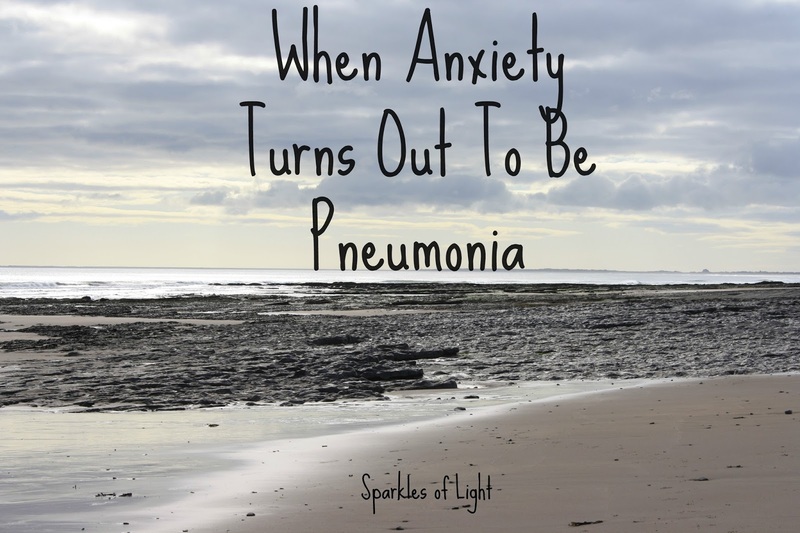 I collapsed and ended up in hospital where an X-ray showed Pneumonia in both lungs, not anxiety. I guess there are several points to this story, the first is to trust your instincts, if you know there is something wrong don't allow yourself to be fobbed off, this is in no way a jab at the NHS - they do a fantastic job for the most part and mistakes will be made now and then just unfortunately my condition was missed by three separate GPs this time. Mental Health is becoming much less taboo now which is great but without proper examination it can be dangerously easy to be misdiagnosed and I worry what may have happened had I not insisted on returning to my doctor over and over. Finally I would like to ask you to bear with me while I get well, posts will not be as frequent and I have been missing from YouTube and all social media lately but things will get back to normal as I recover.